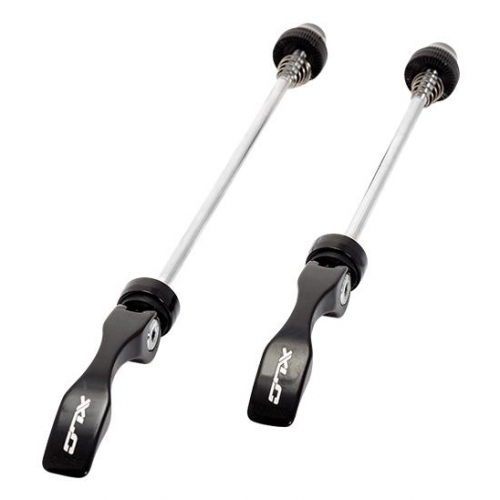 A set of quick release skewers for front and back wheels. For most bikes with quick release wheels. Lengths: 112 mm and 148.5 mm. 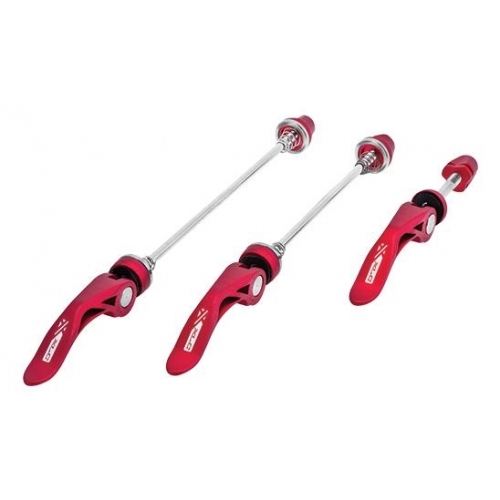 The red coloured set also includes a matching quick release skewer for the seatpost clamp.